I was at the grocery store recently, chatting away with one of my favorite checkers, when she launched into the following story. As you know, I have two boys, just barely of school age. The older one was being obnoxious and teasing the younger one, and he took the younger one’s toy magnet and ran away with it. He then didn’t know what to do with it, so as he was passing our bedroom, he hurled it into our room. That seemed to be the end of the incident. I wasn’t aware of any of it at the time, and the younger boy’s attention got distracted somehow, so no more fuss was made. I walked the boys to school, came home, walked into my bedroom and was shocked to see that the glass in our brand new sliding glass door was shattered. I couldn’t imagine what had happened. At first, I thought maybe someone had been in our backyard and thrown a stone. But it looked like most of the damage to the glass was on the inside. Then I saw the magnet. After school, my husband and I confronted the boys. That’s when the story came out: The younger boy was completely innocent. But how to handle the older one! That was the question. This was done with no malicious intent; it was a totally random, thoughtless “boy” thing to do. 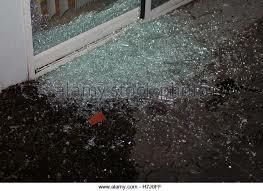 And even though we were all in the house when it happened, none of us heard the noise of the glass breaking. So, should we be angry with him? Should we ignore the incident? Should we softly admonish him? And my brand newly-remodeled bedroom was a mess. Life!! As the grocery checker and I continued to chat, I introduced her to the concept of the waking dream. She was fascinated and understandably a bit skeptical. But she’s an adventurous soul, so she told me to go ahead and prepare something for her. The next time we met—if there was a break in the grocery store action—we could go over my analysis. I don’t usually initiate this kind of discussion with someone who has never dealt with the waking dream. The concept is so radical that most people shy away from it. At the very least they consider it suspect. Often, they find it totally implausible. But in one of those moments, I decided to risk an introduction. What did I have to lose, other than a little bit of dignity? What most people find difficult is the idea that the outer world is so closely connected to our own thoughts, actions and attitudes. This seems unlikely to many. Certainly, given the way most of us have been raised, there is reason for skepticism. But it is also impressive how often someone who first analyzes their own waking dream quickly changes their mind about the phenomenon. Their shift may be nothing more than a cautious acknowledgement that “There might be something to this.” But even a shift of that slight degree is a change in the right direction. We’ll continue this discussion as soon as I have more free time.